California just did something big. It didn’t get a lot of headlines, clicks, or television news coverage, but it will fundamentally transform the way we teach our 6.2 million students. The California Board of Education voted to include five key environmental principles and concepts as part of the state’s new framework for how to teach history-social science standards. In the coming weeks, CalRecycle’s Office of Education and the Environment will be working closely with the California Department of Education, the State Board of Education, the Instructional Quality Commission and non-profit partners like Ten Strands to make sure these key concepts are included in the updated Next Generation Science Standards framework, which is set for final approval this fall. 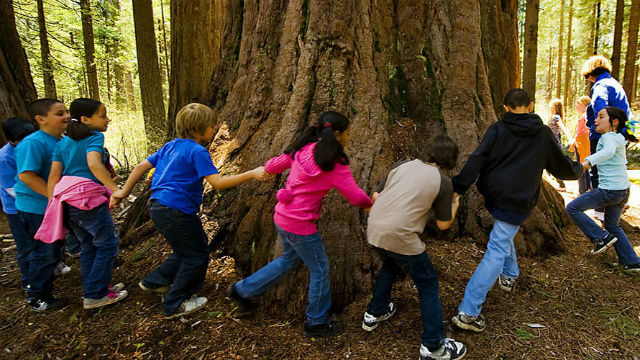 As a father, former teacher, and head of CalRecycle’s Office of Environmental Education, I’d like to explain how these principles and concepts will benefit our children and why formal environmental education is an asset to California and its students. For me, few things in life are more special than witnessing the moment a complex concept finally clicks in the mind of a child. By incorporating these fundamental truths into our educational framework, the environment becomes an integrating context for all sorts of learning. Students are immediately more engaged because the subject matter is more relevant to their lives. For example, instead of viewing the California Gold Rush as an isolated history lesson with dates, facts, and figures to memorize, teachers can help students think more holistically about a series of interconnected questions: What was the environmental impact of the 1849 population boom? Which natural resources did pioneers consume? How did hydraulic mining and water diversion help shape modern-day California? When we begin teaching and learning through this environmental lens, lessons in science and history-social science become grounded in real-world issues we’re confronting now about water, wildfires, and the impacts of climate change to California’s way of life. This important shift in thinking better prepares our students to become 21st century problem solvers who can make informed decisions as consumers, voters, entrepreneurs, teachers, and policy makers. CalRecycle is proud to see the five environmental principles and concepts integrated in the newly approved history-social science framework, and we look forward to their inclusion in the science framework as well. By next year, we should begin seeing these changes reflected in early textbook drafts. The Office of Education and the Environment will continue to work with teachers across the state to support the implementation of these key concepts as part of their instruction. Together, we will help ensure all California students have access to the information, tools, and experiences to strengthen environmental literacy throughout the state. 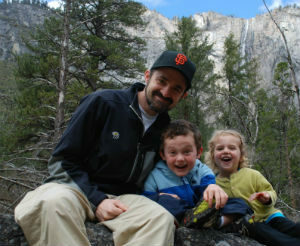 Bryan Ehlers is CalRecycle’s assistant director for education and environmental affairs. He is responsible for overseeing implementation of California’s landmark education and the environment initiative curriculum.